​Registered Company In Britain ,09355669. ​ using the search box on every page. Kirsten Orsborn singing her new single 'Believing' which she has dedicated to the men & woman who've served their country in the British Armed Forces. Let me say this. 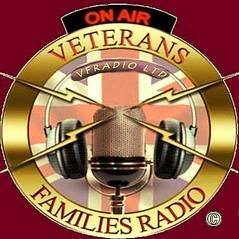 it is an honour and a pleasure to have my show on ' Veterans Families Radio ' station. It would be an honor to have my voice, music and shows broadcast to our Servicemen and Veterans. Hey up fella's, how's things? ex 1 Yorks ,SSGT nice set up you have, good to hear some decent music, listened to some other vets radios, but too much yap and self if you get me, keep up your good work, well done for NOT doing adverts, too many trying to make money out of Veterans, well done. Great to be on your station An honour in fact. Great to be part of the team. Best wishes to you all. Time for some comedy mayhem !!!! 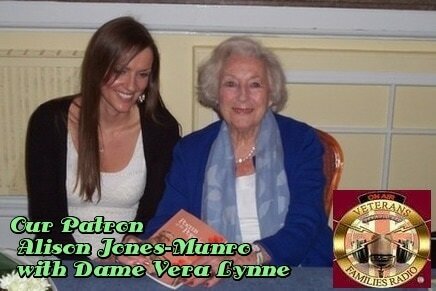 Our wonderful friends at Veterans Families Radio (who have a massive audience by the way!) made it quite clear there would be no advertising on our radio show. They were very relieved when I told them I felt exactly the same way. Veterans Families Radio 24/7.. 365 days a year. VFRADIO LTD © A TOTALLY NON-PROFIT RADIO AND INFORMATION SITE FOR SERVING AND VETERANS OF HM ARMED FORCES. VFRADIO LTD is a totally free service offered to our military forces, we do not charge anything for the advertising we carry for various of our armed forces charities. We do not carry commercial adverts now or ever, we are not a money making organisation, any adverts you see, are in the main Forces Charities. We give them free 100% advertising, we will never advertise commecially, we do not do this for reward, we bear all costs ourselves. ​ There is an opportunity if you so wish, you may donate anything you wish to through Paypal. If you do our sincere thanks . We will carry on with offering as much info on any help for our veterans as we can. ​ We try to enhance what we offer by way of entertainment free to anyone, via our Radio VFRADIO LTD ©, Veterans Families Radio ©, VFR © also available to carry advertising for any force's charity 100% free, we do NOT offer free advertising for commercial use, we don't do any PAID FOR COMMERCIALS. Website Created & Designed by Tom Mcgreevy.